I keep forgetting that it's only been two days since my last blog post since it feels like it's been forever. Perhaps it's because I haven't had time to read many blogs lately, or maybe it has to do with the fact that I haven't taken pictures since I got back to Illinois (this is my last set from California, minus a couple of Flock Together sets), but I feel like I've been absent. I'm hoping to find time to catch up soon though because life feels a little empty without seeing my favorite blogs on a regular basis. 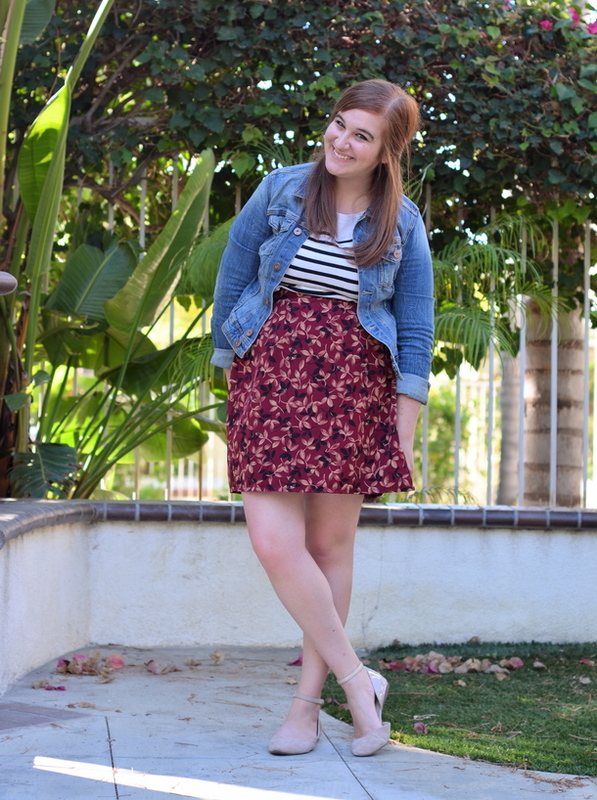 As for this outfit, I'm so happy that I dug this vintage skirt out of my closet over the summer. I think I got it my freshman year of college, but wore it to death that year that I had to give it a break. It got left at home and eventually shoved in my "to sell" pile, but one of those "I have nothing to wear" moments prompted me to dig it out again over the summer and I've yet to look back. 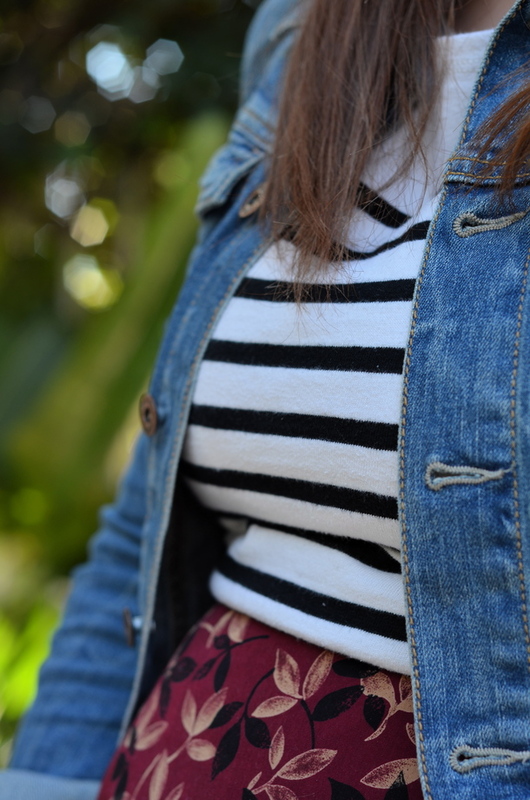 I really liked the idea of print mixing with the stripes and floral, and I couldn't resist throwing on the denim jacket as well. I swear, I've worn this thing almost every day since I've gotten yet. Last week, T.J. even said, "You know you can't live in that thing, right?" right when I got in his car. He obviously underestimates me. In other news, I started my first (or rather, first last) day of classes yesterday. They all went well, except for when I mixed up the times of one of my classes and ended up in Applied Physics instead. However, instead of getting up and leaving when I realized the mistake like a logical person would, I just sat through the entire class. Because I'm awkward and didn't want everyone in the class knowing that I had made a mistake. I've honestly never done that before, and I'm glad it only took me until my senior year to do that. It was a fun time. I really am sorry if I'm behind on commenting on your blogs! Somewhere between class, putting the paper together three times a week, and having some sort of social life, I'll make time for it. Who needs sleep anyway? What a cute outfit! I really love those flats! Oh my gosh, that must have been so awkward. In my years of school, I don't think I ever managed to go to the wrong class, but I was constantly terrified that I would. Good luck with your busy schedule! You sat through applied physics just to avoid humiliation? What kind of journalist are you, anyway? Good job, Chief. See you Sunday. I'll bring my photo skillz. I really do hope you have a great senior year girly & think of me (since this SHOULD be mine). As always, cute outfit! I have the exact same sweater except black w/white stripes! Cute outfit! 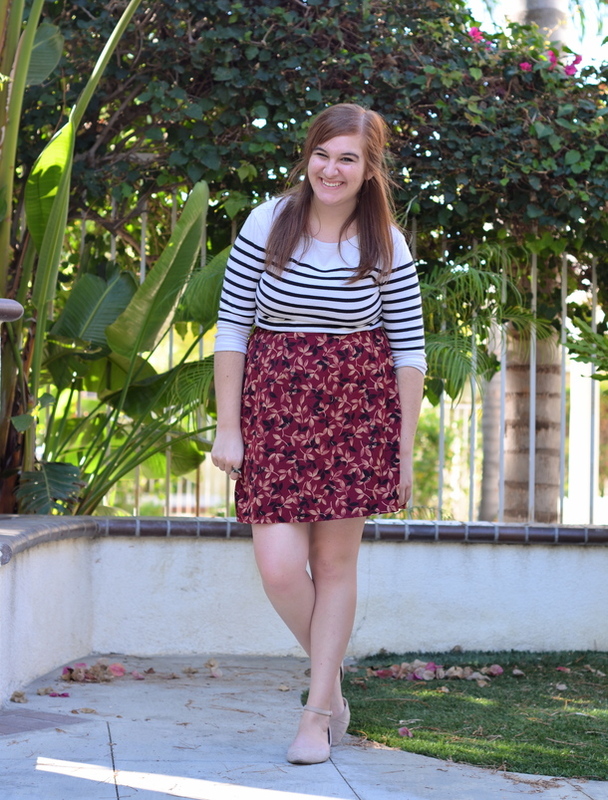 I love mixing florals and stripes! Luckily I've never accidentally walked into the wrong class, but I know a friend who did the same. Ended up in the wrong classroom, but just stayed because she was embarrassed. I would definitely do the same! I saw that on Twitter- HA. Happy to say I never actually done that before, but on second thought, I can't say I wouldn't have just stayed like you did! This skirt is clearly a gem! You always seem to rediscover things you almost got rid of! Glad to hear T.J. is still around and haha he definitely is underestimating you, I love that. Well I know you're super super busy being back at school, but I hope you're enjoying it all! Talk to you soon! lololol i totally would have done the same girly! hahaha. 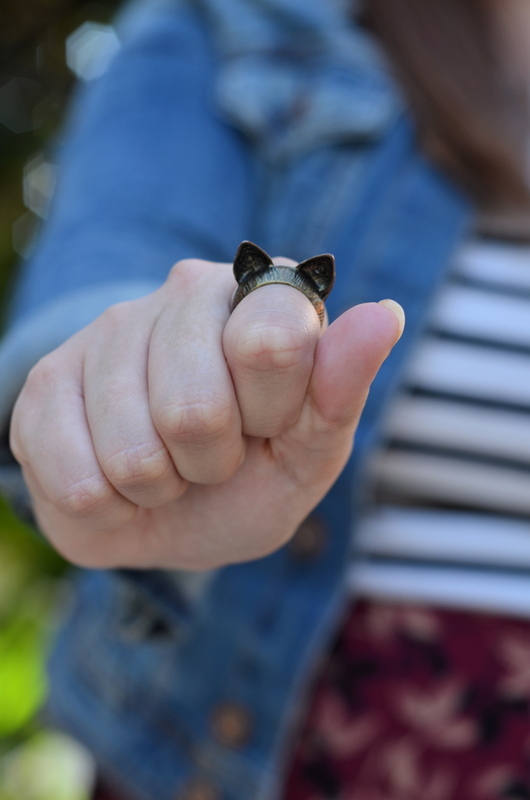 btw, love that ring, super cute. Cute outfit! Hahaha, I know that I would have done the exact same thing if I went to the wrong class! I love the choice of colour of shoes, and how it makes the rest of the ensemble stand out. HAHAHA I cannot believe you sat through entire physics class! Though I probably would have done the same exact thing when I was in school. 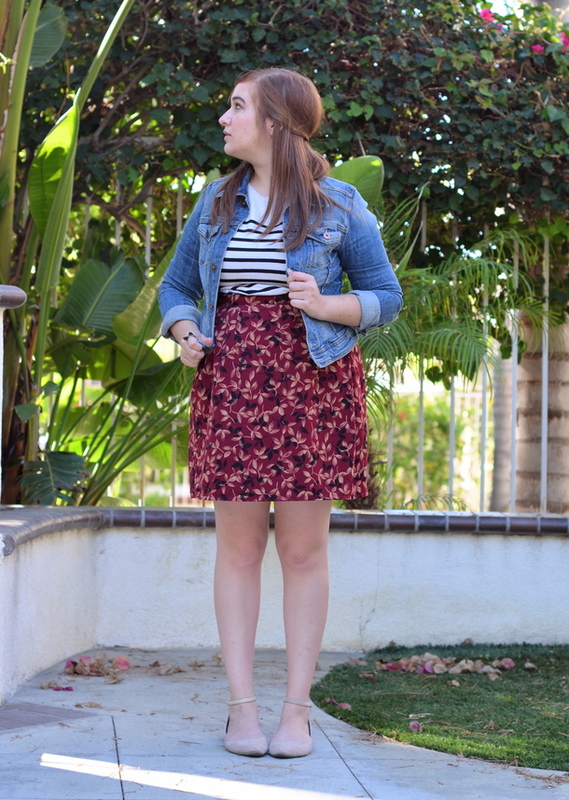 Floral + stripes are my favorite so I of course love the outfit. I had a revelation last night that I think I would be happy wearing a striped top every day this fall! Haha sleep if you need to Elana :) Blog comments can wait. That is too funny that you just sat through the class lol that's awesome! I LOVE those flats and your cute ring. 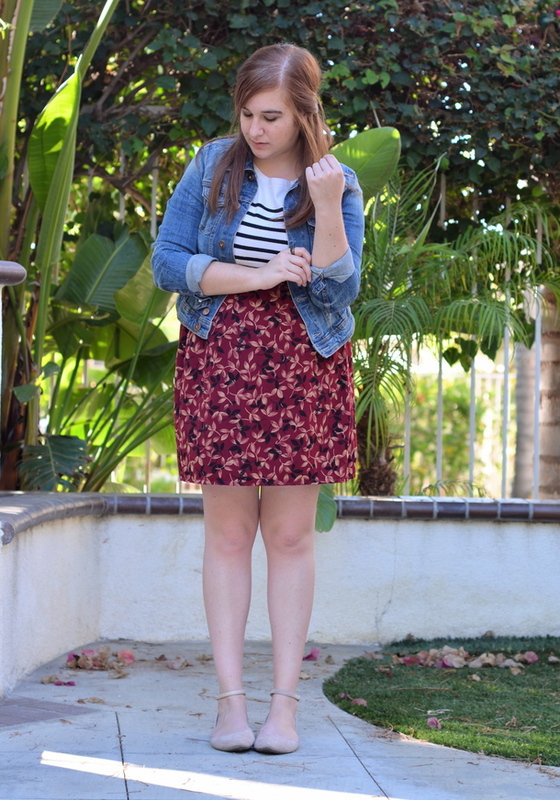 Stripes and florals are a no-brainer combo and that denim jacket is perfect, of course you wear it all the time! I love your Jacket and flats. You look so cute. I love your outfit here! Especially your shoes! 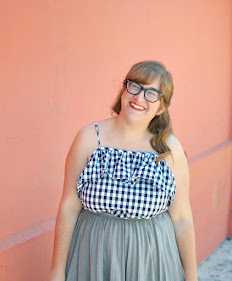 I love your pattern mixing here, too cute!